All our properties can be found on Rightmove so as soon as you find something you like, contact us and we will accompany you to the property. If you wish to proceed, the property will be taken off the market as soon as we have received a holding deposit and administration fee for references and credit checks. 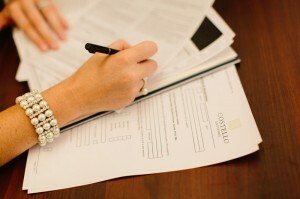 We will give you a copy of the tenancy agreement to make sure you are happy with the conditions. Our phone lines are open 9.30am – 5pm Monday to Friday. Please call us on 01258 455501. We are available Saturdays and evenings by appointment only. We will make regular inspections of all properties. One of our real strengths is …. we love maintenance! We will give you access to our 24 hour emergency helpline and aim to get a tried and trusted tradesman to you within 24 hours. We keep a detailed log of all maintenance issues to ensure that any problems are dealt with quickly and efficiently. We will take an inventory check and ensure the property is handed back to the Landlord in the same condition as it was handed over in. Provided there is no damage, your deposit will be returned to you. Our Tenants’ Fees can be found on the Tenants’ Fees page.